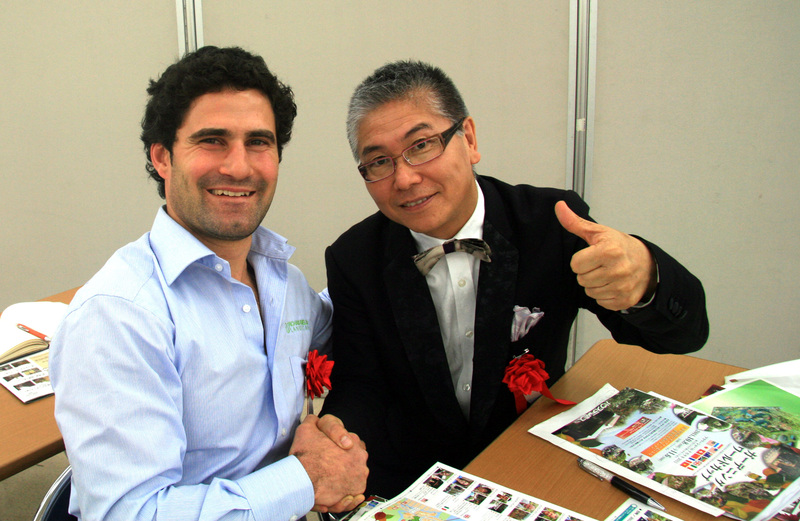 The Japanese story continues to grow for Richard Bellemo Landscapes with Richard Bellemo solely representing Australia as a key speaker at the 2011 Takasho Total Garden Fair in Tokyo, Japan. Personally invited by Takasho CEO and Managing Director, Mr Nobuo Takaoka, Richard was flown across to Japan for five days and given the honour of addressing 600 industry representatives on his experience in creating the outdoor or 'fifth room' in landscape design. The Total Garden Fair is a two day expo that forms part of Japan's annual Summer Garden Festival. 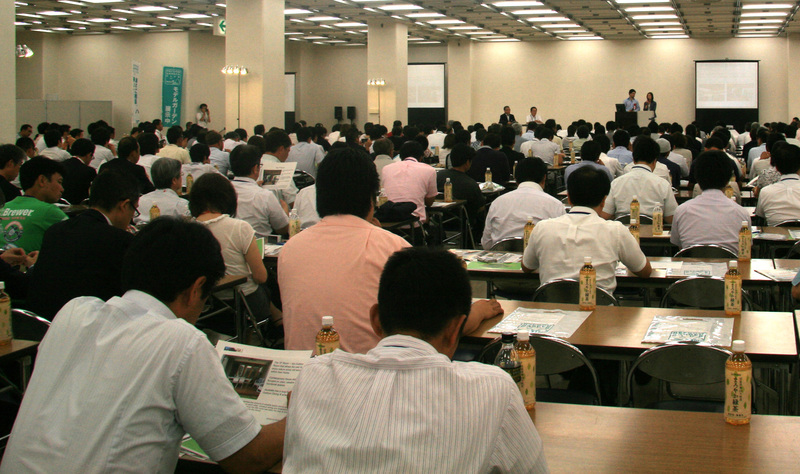 Being the largest garden supply and manufacturing company in Japan, the August expo allows Takasho to exhibit their latest technologies and products along with promoting innovation and excellence in their industry. The Takasho company has a strong focus on the promotion of outdoor living spaces into the Japanese lifestyle, regarded locally as the 'fifth room' in design. Identified by Takasho in 2009 as a contemporary garden designer who would innovate into the future, Richard was honoured to be given an invitation to address 600 members of Japan's largest professional garden organisation, The Garden Reform Club, alongside renowned Japanese designer Kazuyuki Ishihara and enjoy a number of subsequent garden tours across Japan. "I have always wanted to travel to Japan and explore the rich culture and deeply respected heritage behind Japanese Garden design," said Richard. 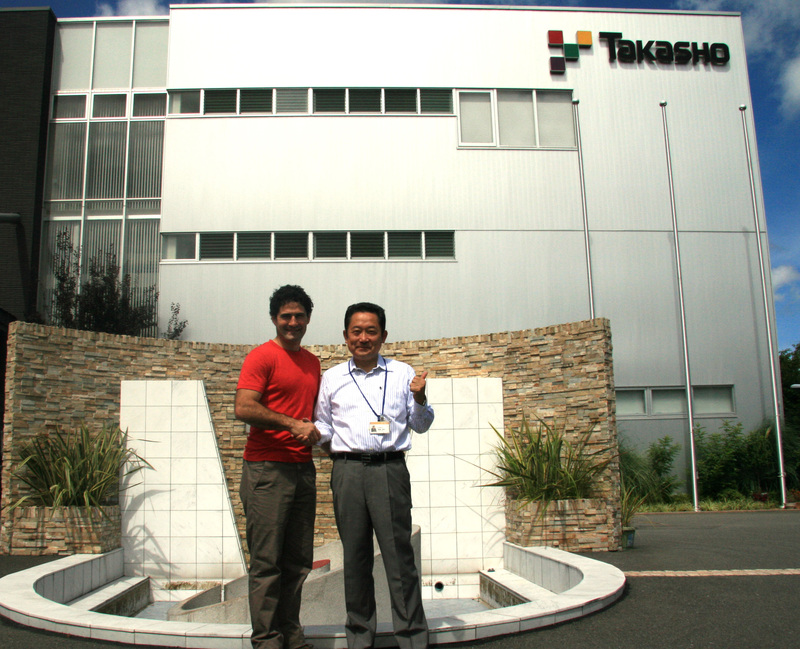 "To be personally invited by the Takasho company and given the honour of addressing their industry peers on my experience in Australia is truly a highpoint in my career. I was impressed by the level of precision involved in running an expo of this scale and by the beauty of the range of garden landscapes I witnessed during the garden tours. Their generosity as hosts was overwhelming." During his one hour lecture Richard spoke passionately about sustainable design practices and offered his insights into making useable and highly practical outdoor spaces that can be a natural extension of the family home. 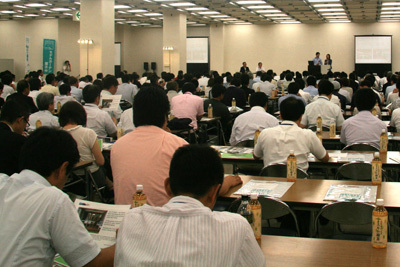 Following the expo, Richard was personally accompanied by a Takasho representative on a tour of the Kamakura Garden and Temple in Tokyo before flying across to the Sogenchi Garden and Tenryu-ji Zen Temple in Kyoto, and concluding with a stop over in Hong Kong to visit the Nan Lian Garden. The relationship between Richard Bellemo Landscapes and Takasho began two years ago when Mr Takaoka met Richard on a tour in Australia during the Open Garden Scheme. So impressed by Richard's innovation in outdoor room design, the Takasho company featured an acclaimed Richard Bellemo Landscapes garden extensively throughout the 2010 – 2011 Takasho annual product catalogue. Takasho continues to express a keen interest in Richard Bellemo Landscapes' growing involvement in the Australian Sustainable Schools Initiative and learn more from their strong commitment to sustainability in design. 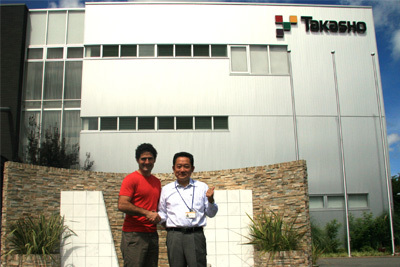 Richard Bellemo Landscapes is encouraged by their ongoing relationship with Takasho and eager to implement a number of technological advancements Takasho are making in outdoor products into their landscape projects in Australia. Richard Bellemo Landscapes is an internationally recognised, Melbourne-based, and multi-award winning landscape design and construction business which began in 2002. Specialising in creating landscapes that imitate nature, owner Richard Bellemo draws inspiration from natural environments experienced both around Australia and overseas.